He’ll be the first to sit down with the family and boyfriend of late singer Amy Winehouse. 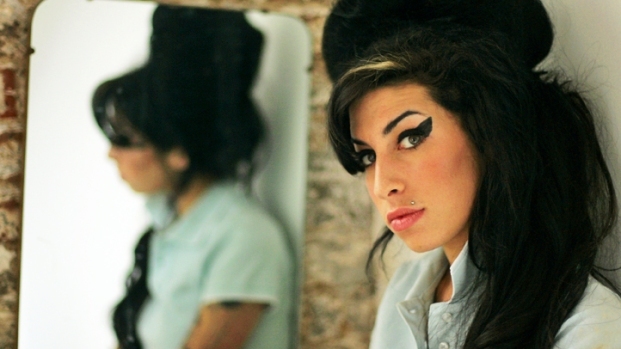 Amy Winehouse performed via video with her mom Janis by her side. Her father Mitch, brother Alex and one-time boyfriend are slated to talk with Anderson Cooper about her life, death, and legacy. Anderson Cooper will debut his new daytime talk show with a highly coveted interview—he’ll be the first to sit down with the family and boyfriend of late singer Amy Winehouse. Cooper’s show, “Anderson,” will host Winehouse’s father Mitch, mother Janis, brother Alex, and former boyfriend Reg Traviss, the New York Daily News reports. He's expected to address the singer's continued struggle with substance abuse and her untimely passing. Winehouse was found dead in her northern London home in July. The Grammy-winner's death sent shock waves through the music community and the world. “Anderson” premieres on Sept. 12.